The follow up documentary to The Union: The Business Behind Getting High this takes a deeper look at the reasoning behind the long prohibited plant and mines this subject with depth, intelligence and logical argument. Why is this war being waged against a plant and its many beneficial properties? How is the general consensus going to be changed? Why is it like this? Who lied and when? The Culture High answers these questions and more. Filled with talking heads from many highly esteemed professionals; doctors, high ranking police, politicians, musicians, journalists, scientists and psychologists, this blows the lid off the many mysteries surrounding this sacred herb. The illegality of it boils down to politics, big corporations, lies, propaganda, the drug cartels all the way to the prison business corporations (and it clearly is a business that certain people are making a LOT of money from). 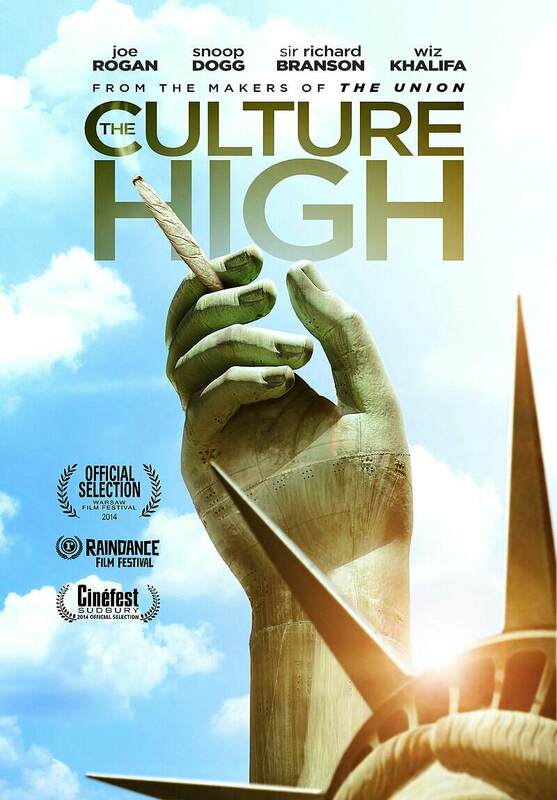 What was great about this documentary is that it eschews the usual ‘pot is fun’ mantra to excavate what this means to us as a society and the many benefits of legalizing it across the board. This is a serious documentary that is intelligent, informative and insightful. Featuring interviews with, amongst many others, ex-police detective, Ed Burns (writer and producer of The Wire), entrepreneur Richard Branson, The Young Turks presenters, Cenk Uygur and Ana Kasparian, writers Howard Marks, Graham Hancock and Howard Bloom, musicians, Snoop Dogg, B Real and Wiz Khalifa, producer Bianca Barnhill, David Nutt, who was famously sacked from his position on the Advisory Council on the Misuse of Drugs because his study contradicted the party line and many more, this is a doc you need to check out. Filled with facts, figures, research, debunked myths and hope for the future, this is one for the converts and the yet to be educated. Adam Scorgie, who presented The Union is on narration and producing duties here and does a sober job of getting the facts across and Brett Harvey does a fine job of directing, as he did with The Union. Watch and recommend to others. Education is the only way to break through the lies and ignorant views that have been criminally perpetuated over the years.